Starfinder is almost upon us! Find out what you need to know before it launches to be ready to play. 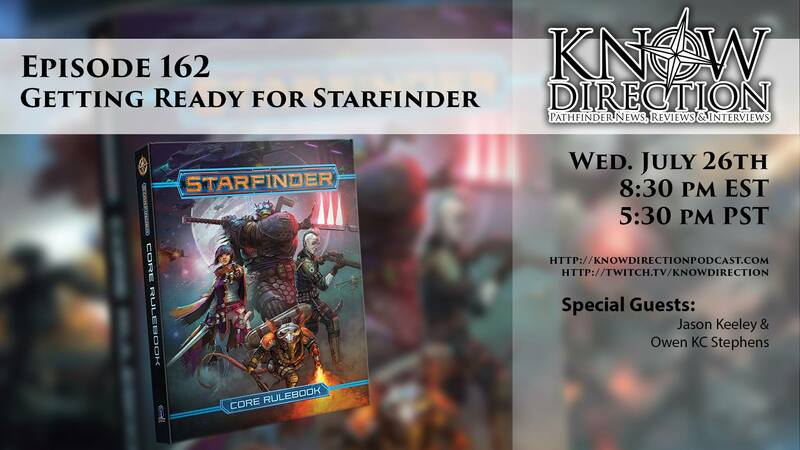 Jason Keeley and Own KC Stephens from Paizo’s Starfinder team will join us to guide us to the right heading.